Can we count on normal PSA levels by age? Regardless of any PSA reference range for different age groups, there’s actually no ‘normal’ prostate-specific antigen level that guarantees you’re free from prostate cancer. Experts have devised age-adjusted PSA reference ranges to estimate your risk of prostate cancer, but there really are no truly normal PSA levels by age. Other than the fact that prostate-specific antigen (PSA) screening is a simple blood test, little else about this cornerstone of prostate cancer screening is simple. That includes the question of whether there are normal PSA levels by age. Generally, your risk of having prostate cancer increases along with your PSA level, and in most men, PSA concentrations rise with age, for various reasons. Although experts have devised age-adjusted PSA reference ranges to estimate your risk of prostate cancer, there really are no truly normal PSA levels by age. In other words, although PSA can give you an idea of your risk, there’s no guarantee that you have prostate cancer if your PSA rises above a certain mark, nor are you assured of being cancer-free if your PSA remains below a particular threshold. Historically, a PSA result of less than 4 ng/ml was considered normal, and above that level, doctors recommended a biopsy to check for cancer. But, research has since called this strategy into question. 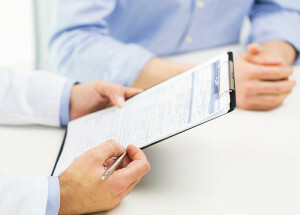 The concern is that, since PSA cannot identify for certain which men have clinically significant prostate cancer and which men don’t, the screening test may lead to unnecessary biopsies and treatments—all of which carry a risk of serious side effects. So, because PSA levels naturally increase as you get older, some experts have proposed using age-specific reference ranges in an attempt to identify normal PSA levels by age and reduce the number of unnecessary biopsies. 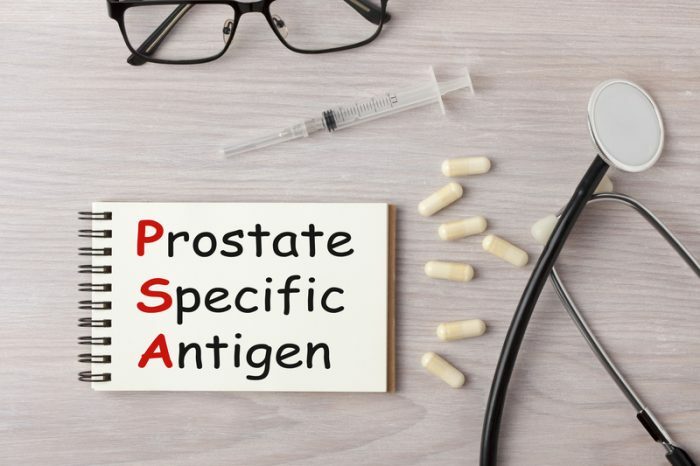 In one study, researchers evaluated age-specific PSA cut-off values in 2,225 Austrian men who underwent prostate biopsy because of elevated PSA levels. They found that the following PSA values had the best prostate cancer specificity: 1.7 ng/ml for men age 59 and younger; 2.25 ng/ml for men ages 60 to 69; and 3.25 ng/ml for those age 70 and older. “Using these adjusted PSA cut-off values, all significant tumors are recognized in all age groups, yet the number of biopsies is reduced,” the researchers wrote (PLoS One, July 28, 2015). Is There a Safe PSA Level? Age-adjusted PSA values are one way that may help reduce unnecessary biopsies, but data from the landmark Prostate Cancer Prevention Trial (PCPT) suggest there is no PSA below which the risk of having prostate cancer is zero. Rather, the risk of prostate cancer follows a continuum, increasing as PSA values rise, the AUA notes. Many experts now advocate the use of nomograms and risk calculators—such as those derived from the PCPT and the European Randomized Study of Screening for Prostate Cancer—that incorporate PSA and other factors to compile an individualized risk assessment. Your doctor also may consider a free-PSA test, which measures whether the PSA in the blood is floating free on its own or is attached to a protein molecule. Benign conditions tend to produce more free PSA, while cancer tends to produce the attached form. By measuring the ratio of free to attached PSA, doctors get another hint about the cause of an elevated PSA level. More recent additions to the prostate cancer screening armamentarium incorporate PSA and other prostate-derived substances. One of these tests, the Prostate Health Index (PHI), measures [-2] pro-PSA (an isoform of free PSA) along with total PSA and other forms of free PSA. Research has found that the PHI, a blood test, can outperform total PSA and percentage of free PSA at detecting prostate cancer and predicting clinically significant disease. These biomarkers are combined with a patient’s age, digital rectal exam, and biopsy history to calculate the likelihood of finding a high-grade prostate cancer on biopsy. Ask your doctor about these tests to help gauge your risk of having clinically significant prostate cancer on biopsy. 4Kscore, abnormal psa, age specific psa, aggressive prostate cancer, cancer, cancer prevention, cancer screening, detecting prostate cancer, digital rectal exam, elevated psa, elevated psa level, elevated psa levels, Free PSA, free psa test, health, high grade prostate cancer, how to avoid prostate cancer, lab test, normal psa, normal psa levels, pro psa, Prostate, prostate biopsy, prostate cancer, prostate cancer prevention, prostate cancer screening, prostate health, prostate health index, prostate specific antigen, protein, psa, psa levels, psa screening, psa test, psa values, PSA Velocity, risk of prostate cancer, screening for prostate cancer, side effects. i am 77 years i got a psa last week it came back reading 3.48 is this bad. I thought you might be interested in this article on https://universityhealthnews.com: Normal PSA Levels by Age: A Valid Way to Assess Prostate Cancer Risk?